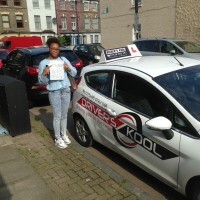 I recently passed my test on my 1st attempt and my experience learning how to drive with Noah and Driver’s Kool was a real pleasure. He is punctual, patient, informative, precise and I enjoyed every lesson. I would receive an email after my lessons pointing out routines and giving me a re-cap on the lesson that we covered and what we had to work on and also my strengths. I found this to be very helpful as when learning to drive grasping all the information in at one time can be difficult. 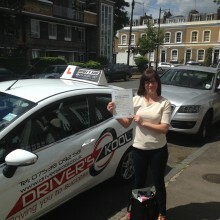 I recently passed my driving practical test following a series of lessons with Drivers kool who I cannot recommend highly enough. The instructor (Noah) was spot on. Very knowledgeable about all aspects of driving and you could have a laugh with him but still take it seriously. Also the balance between focus on the bits I was not so good on as well as pointing out what I was doing well was very helpful with the process. The car was easy and quite enjoyable to drive and I could see myself noticeably improving with each lesson. The most important thing about it for me though was the flexibility to be able to fit it around my very hectic work schedule and still get in enough time driving to pass my test and be able to drive safely. Would happily recommend Drivers Kool to anyone. 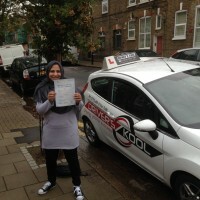 I would like to say that driving with you was not only, educational obviously, seeing as it resulted in my pass but also fun and gave me long term skills and knowledge. 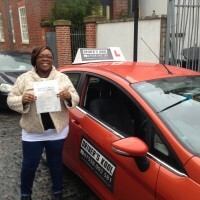 I felt that the lessons you gave me were not only for passing the test but to enable me to become a good driver with an excellent understanding of all I need to have to be safe and skilled on any road in any situation. Following my recent success at passing my driving test on 3 December 2013, I would like to first of all thank you for getting me to this point, in what seemed to be a relatively short time. I thought that your feedback, evaluations and lesson recap e-mails were invaluable and really helped me to understand what mistakes I was making and enabled me to correct them and not make them again. 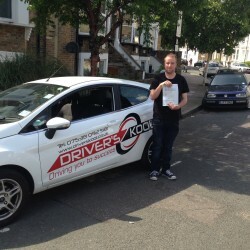 I believe all of this without question, enabled me to pass first time.